Early last year, the waste management world was abuzz with news of furniture manufacturing giant Ikea’s minority stake in the Dutch plastics recycling company, Morssinkhof Rymoplast Group. Part of the $1 billion Ikea earmarked for sourcing sustainable materials, this was a step toward achieving the company’s goal of making its plastic products from 100 percent recycled or recyclable materials by 2020. It was also part of the company’s program to vertically integrate its supply chain, which includes the purchase of forests in Eastern Europe and a wind farm in Poland to exercise greater control over the supply chain. The chemical industry is also integrating recycled materials into their value chains. In 2017, Imerys, a leading global supplier of mineral additives, announced the acquisition of Regain Polymers, building on their platform of supplying additives to the plastics industry and improving the sustainability profile of their Performance Additives business unit. And Michelin, one of the world’s largest tire manufacturers, joined the vertical integration game with its acquisition of Lehigh Technologies. Lehigh Technologies is a specialty chemicals company that produces highly engineered, versatile raw materials called micronized rubber powder (MRP) from waste tires. By acquiring a company with an innovative method for recycling tire materials, Michelin is reducing its use of natural resources – in line with its “4R strategy” of Reduce, Reuse, Recycle and Renew. MRP replaces oil- and rubber-based feedstocks in a wide range of industrial and consumer applications, including high-performance tires, Michelin’s core market. Vertical integration helps companies close the loop on their products by giving them greater control over the product lifecycle – from beginning to end. The vertical integration of supply chains is not new, but sustainability provides a new motivation for this approach. 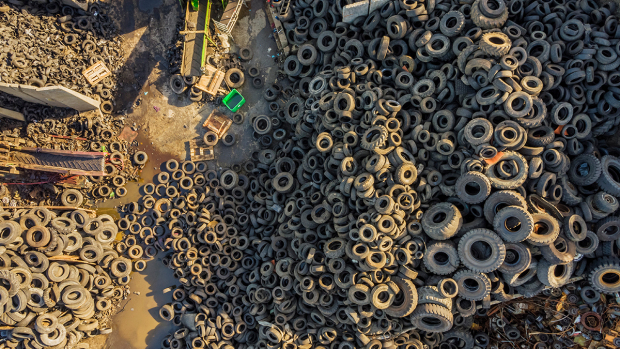 In the U.S. alone, more than 300 million tires are disposed of annually – globally, it’s about 1 billion tires. Michelin is not only securing its supply chain and driving costs lower but also addressing the issue of sustainably managing the end of life for millions of tires. Beyond offering manufacturers a secure supply chain, vertical integration both manages end-of-life waste and provides raw materials to secure demand for recycled materials. One of the biggest challenges for the recycling industry, especially for plastics, is building demand for recycled materials. Vertical integration provides companies with a guaranteed customer and in turn ensures stable revenue, allowing them to expand operations and recycle even more waste. In fact, with the added investment from Michelin, Lehigh has expanded its circular economy solutions for waste tires globally and is in the process of building a plant in Navarre, Spain, as part of a joint venture with Hera Holdings. There is growing regulatory (and hence economic) momentum for companies to manage the full life cycle of their products. The European Union recently introduced its Circular Economy Stakeholder Platform, an ambitious strategy that seeks to close the loop on manufacturing and reduce waste. Unveiled earlier this year, China’s National Sword campaign also bans the import of certain waste products. As we work toward developing a circular economy that will help us better manage our waste, companies should look to vertical integration, which not only reduces costs and streamlines operations but also ensures a more sustainable product life cycle.